This baby romper is great for scaring up some laughs and fun throughout the year. 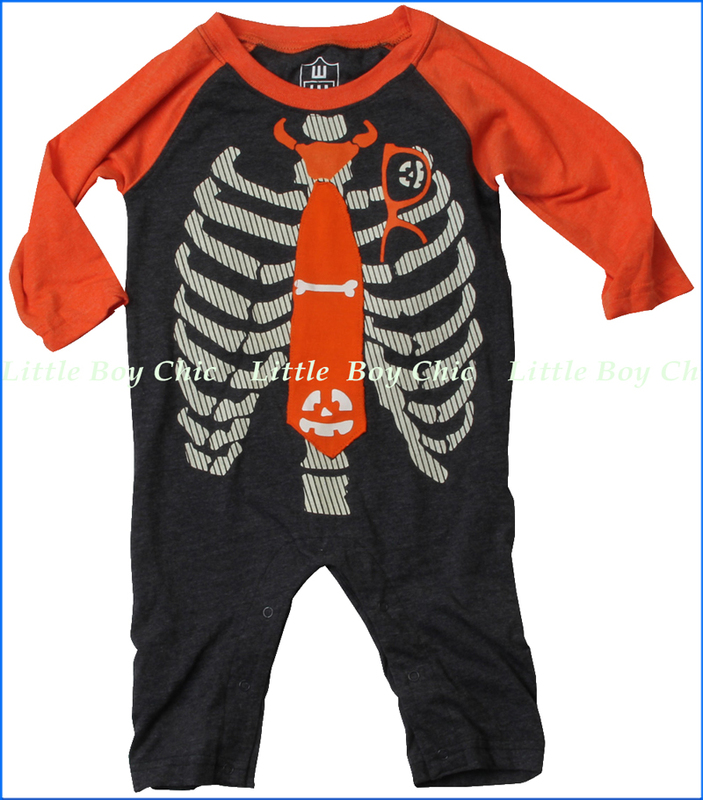 Glow-in-the-dark makes the applique skeleton ribs ‘electric’, and makes it perfect for the holiday season as well as making spotting him in a crowd easier. Contrast seasonal hue for raglan sleeves and ringer crewneck, embroidered tie and glasses. Soft hand feel for added comfort. No tag to irritate his skin. Woven label on seam.